Global real estate service provider Colliers International is further expanding its consulting team in Hamburg. 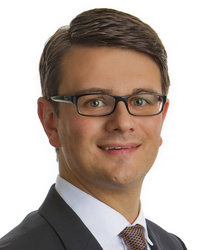 Philipp Junikiewicz is the new Senior Consultant Retail Letting in the Hanseatic City. 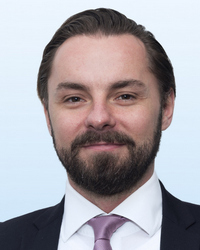 The 35-year-old has been active in the real estate industry since 2006, having previously worked for Comfort in Hamburg, a company specializing in retail real estate. Prior to that, his focus was on logistics real estate, where he worked for companies such as BNP and Realogis. Düsseldorf-based Concepta Projektentwicklung GmbH has strengthened its investment management division via the hiring of Michael Kobs (36) as Senior Investment Manager, effective April 1, 2018. Kobs, who previously worked for JLL as Associate Director for Shopping Center Investments on nationwide retail projects, is a retail specialist with many years of professional experience. The focus of his new activity is on the acquisition of shopping centers, retail parks, and department stores with redevelopment potential. “With Mr. Kobs, we have gained a proven retail expert with extensive experience in structuring the sales processes of shopping centers for our team, who will give new impetus to our corporate growth strategy,” said Björn Isenhöfer, managing partner of Concepta. 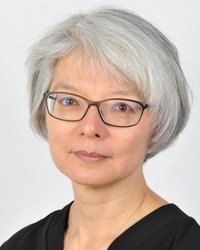 Cording Real Estate Group, a European real estate investment company focusing on Germany, Great Britain, and the Benelux countries, and majority owned by Edmond de Rothschild (Suisse) S.A., has appointed Naomi Vlakancic as Head of Investor Relations. The 53-year-old will report directly to Reiner Beckers, Head of Business Development. The position was created to develop and implement an investor relations program and to further deepen the analysis of business processes within the company. Vlakancic has more than 20 years of experience in the real estate investment industry. Prior to joining Cording, she was Head of Client Services and, most recently, Head of Investor Relations at Savills Investment Management. She previously spent six years with Henderson Global Investors (now TH Real Estate) as a property distribution manager. Based in London, she will be responsible for investor relations activities. Her responsibilities also include working with investors and investment stakeholders, optimizing client reporting, and assisting in the development and marketing of new funds. Martin Eberhardt became the new Managing Director of Corpus Sireo Real Estate in Cologne on May 15, 2018, where he will be responsible for the asset and property management business. Eberhardt will also join Swiss Life Kapitalverwaltungsgesellschaft (KVG) as a further Managing Director. The 53-year-old real estate specialist comes from the Dutch Bouwfonds Investment Management. In his new role as a member of the Executive Committee, he will be responsible for the company’s largest division, from which all asset and property management services are provided for existing and new customers. At Swiss Life KVG, which designs and launches special property funds and open-ended property funds such as “Living + Working” for institutional and private clients, he will be responsible for property management and fund management. Cushman & Wakefield has recruited retail and leisure specialist Dominic Bouvet as a Partner to continue the expansion of its EMEA Cross Border Retail team and further develop its EMEA leisure offer. Bouvet, currently a National Director at JLL, will join the company in the summer as Head of EMEA Cross Border Leisure and Retail Services. His appointment follows that of Kevin Farrow, joining from CBRE as Head of UK Retail Occupier Agency, as Cushman & Wakefield enhances its advisory offer to international retailers. Since joining JLL through its merger with King Sturge, Bouvet has advised many retail and leisure occupiers including Dean & DeLuca, Merlin Entertainments, Godiva, Parques Reunidos, KidZania, Suitsupply, and SuperGroup on their international real estate strategies. He has also built close relationships with major landlords, developers, and investors through work on their EMEA retail portfolios. 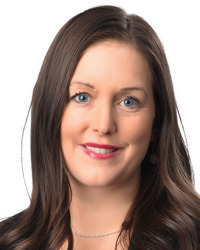 Grosvenor Europe (Grosvenor), one of the four operating companies of the privately-owned international property group Grosvenor Group Limited has appointed Marika Hilldoff as Director, Portfolio Management, Stockholm. Hilldoff has over 13 years of experience in the real estate industry and joins the company from Pandox, where she held the role of Investor Relations and Sustainability Manager since 2016. Previous employers also include Stockholm City and JLL. She holds a degree in Real Estate Economics from the Swedish Royal Institute of Technology. Marian Herman has become the new Chief Executive of HB Reavis Group. He has transferred to this role from his position as Group Chief Financial Officer and Board Member. Herman has been with the company for more than eight years. Radim Rimanek has simultaneously become Deputy Chief Executive of HB Reavis, which is a newly-created role. He has been a Member of the Board for more than five years, having joined HB Reavis in 2012. Pavel Trenka has stepped down from his position as Chief Executive as part of a long-planned succession, having fulfilled his five-year term in the role. He joined the firm in 2007 and will remain with the company as a Non-Executive Board Director alongside Maarten Hulshoff and Ivan Chrenko, the company’s founder. On April 27, 2018, at its annual ICSC European Conference in Barcelona, the International Council of Shopping Centers (ICSC) announced the appointment of Peter Wilhelm, CEO of the Wilhelm & Co Group, as its new European Chairman. The official handover from Josip Kardun, CEO of Multi Development, will take place in October of this year. 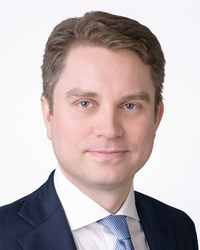 Kungsleden has employed Magnus Jacobson as Chief Financial Officer. Jacobson has more than 30 years of experience in senior positions in the finance field and was previously the CFO of Norrporten and, before that, the CFO of Hufvudstaden. “Magnus has solid experience in financial controlling, financing, and investor relations in the real estate industry. He is an experienced leader and has comprehensive real estate knowledge. Magnus will become a member of Kungsleden’s management team and will provide financial perspective with regard to our entire business. He will, together with the rest of the management team, actively contribute to the company’s development and to short-term and long-term target fulfillment – with the objective of maximizing value creation for our shareholders,” said Biljana Pehrsson, CEO of Kungsleden. Jacobson was born in 1958 and holds an M.Sc. in Business and Economics. He will take office on June 1, 2018. McArthurGlen Group announced the appointment of Shaeren McKenzie, currently the Group Marketing Director, as its first Chief Brand Officer. In this newly created position, she will further develop consumer offerings, work closely with the company’s luxury and fashion brand partners, and develop and strengthen McArthurGlen’s global brand narrative for consumer and B2B target groups. “Although the appeal of affordable luxury has never been stronger than it is today, the market is constantly changing. One of our Board of Directors responses to this development is the creation of the new position,” explained CEO Julia Calabrese. 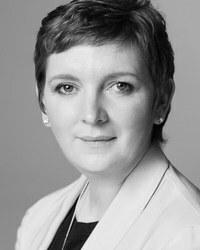 McKenzie has been the Group Marketing Director at McArthurGlen and a member of the Board of Directors since September 2009. Prior to joining the company, she held a number of senior positions in the fashion, retail, and advertising industries. She was the Marketing Director of Sara Lee Corporation, which is responsible for brands such as Gossard, Berlei, and Shock Absorber, the Managing Director of the British lingerie brand Charnos, and the Marketing Director at Bhs, where she reported directly to Philip Green. 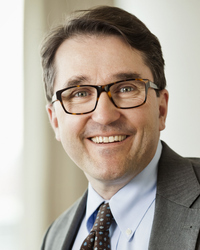 Tomas Carlsson has been appointed the new President and CEO of NCC. 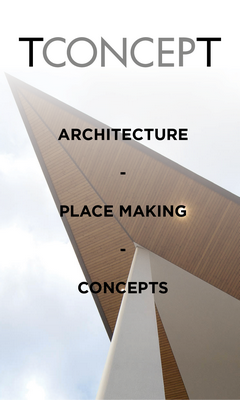 He is currently employed at the listed architecture and engineering consultancy Sweco. Carlsson previously worked at NCC for nearly 20 years, most recently as the Head of NCC’s construction operations in Sweden. “I am delighted that Tomas Carlsson will be the next President of NCC Tomas is highly familiar with our operations, and he has been able to expand his expertise during his time at Sweco. He has gained experience in leading a consultancy firm and has also been able to observe how various construction companies operate in the market. Sweco’s stock market performance has been strong, with the company’s share price tripling,” said Tomas Billing, Chairman of NCC. 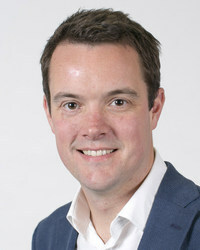 Carlsson holds a Master of Science in Engineering from Chalmers University of Technology and an Executive MBA from London Business School and Columbia Business School. “It feels like coming home. I am very much looking forward to leading NCC, and I see great potential for developing the operations,” he commented. He will take up his new position at NCC by July 2018 at the latest. 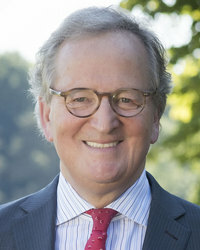 Håkan Broman will serve as acting President in the interim. Jens Kahlow took over the management of the first outlet center in Central Germany, Halle Leipzig The Style Outlets, on March 1, 2018. The 39-year-old, born in Leipzig, succeeds Uli Nölkensmeier as Center Manager, who took over the function on an interim basis at the end of October 2017. 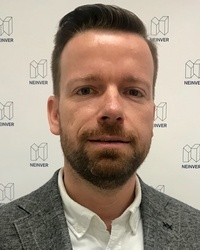 Neinver will retain Nölkensmeier as Asset Management Director Germany and as Center Manager of Fashion Outlet Montabaur. Kahlow has nearly 20 years of experience in retail, most recently as Regional Manager at CCC Germany, one of the largest shoe suppliers in Central Europe, where he was responsible for the distribution of shoes and accessories at several stores. The retail salesman began his career at Peek & Cloppenburg in Düsseldorf. Other professional positions included Sales Director for NKD Germany in Poznan, Poland, and Store Manager for Peek & Cloppenburg in Riga, Latvia. In his various positions in Germany and abroad, he has gained many years of experience in the retail sector and comprehensive know-how in brand-relevant topics. “We want to further increase the attractiveness of the center through a diverse brand mix and customer-oriented service. In Jens Kahlow, we have found a center manager who comes from the region, has excellent knowledge of the brand world, and has extensive experience in fashion retailing. He will make an important contribution to achieving our goals,” explained Sebastian Sommer, Managing Director of Neinver Germany. 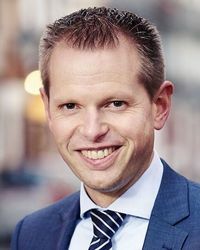 Kai Aejmelaeus has been appointed President and Chief Executive Officer of Sponda, which is owned by Blackstone and by Areim. 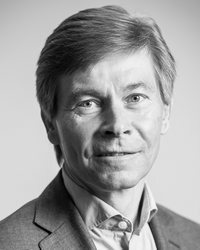 Mr. Aejmelaeus succeeds Kari Inkinen, who will move into a new role as Senior Advisor and Board Member of Sponda. The changes will become effective in the second quarter. Aejmelaeus joins Sponda after a 10-year career at H&M Hennes & Mauritz GBC AB, where he was Head of Global Leasing. 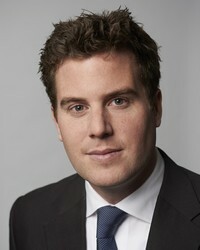 He managed several teams across various markets, focusing on international real estate operations for the H&M group. 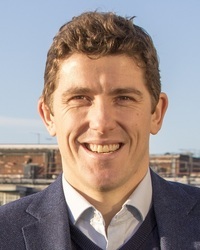 Previously Head of Investment for central London, Smith has spent more than eight years with the company, working across its offices holdings and development pipeline in central London. In his new role, he will lead the St James’s team and continue The Crown Estate’s transformation of the area. In the coming year, Smith and his team will launch the new Princes Arcade, a revival of the traditional shopping arcade for modern brands and visitors, and complete the redevelopment of Duke’s Court, a £100 million mixed-use office and retail development on Jermyn Street. Olaf Ley has been the new Investment / Asset Management Director of Unibail-Rodamco Germany GmbH since April 1, 2017. 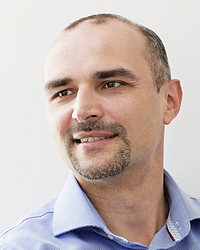 The 42-year-old recently served as Managing Director at iMallinvest Europe GmbH. In addition to various acquisition, project development, and asset management activities for national and international investors, he managed sales activities, including Credit Suisse’s Melody portfolio in 2016 and one of the largest shopping centers in the Ruhr region in 2017. From 2007 to 2015, Ley held various management positions for ECE Projektmanagement GmbH und Co. KG, most recently as Director M&A. During that period, a large number of acquisitions were made, such as the A 10-Center Wildau, the Silesia City Center in Katowice, and the Palais Quartier Frankfurt. Ley succeeds Charles Watine (Investment) and Stéphan Lett (Asset Management). Both French managers will take on new management responsibilities at Unibail-Rodamco SE in Paris after handover in early summer. “With Olaf Ley, we have been able to recruit a proven expert who knows the German market very well and who will create synergies between investment and asset management in his area of responsibility,” said Andreas Hohlmann, CEO of Unibail-Rodamco Germany. On April 1, 2018, Ronald Beemsterboer was appointed Vastned’s new Investor Relations Manager. 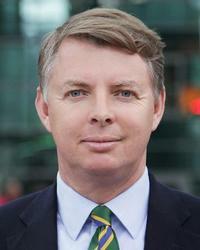 He joins the company from Wolters Kluwer, where he held the position of Investor Relations Associate. At Vastned, Beemsterboer will be responsible for communication with investors, analysts, and the press. Vastned is a listed European retail property company focusing on venues for premium shopping. It invests in selected cities in Europe, with a clear focus on the best retail property in the most popular shopping streets in bigger cities. Its tenants include strong international and national retail brands. The property portfolio has a size of approximately €1.6 billion.